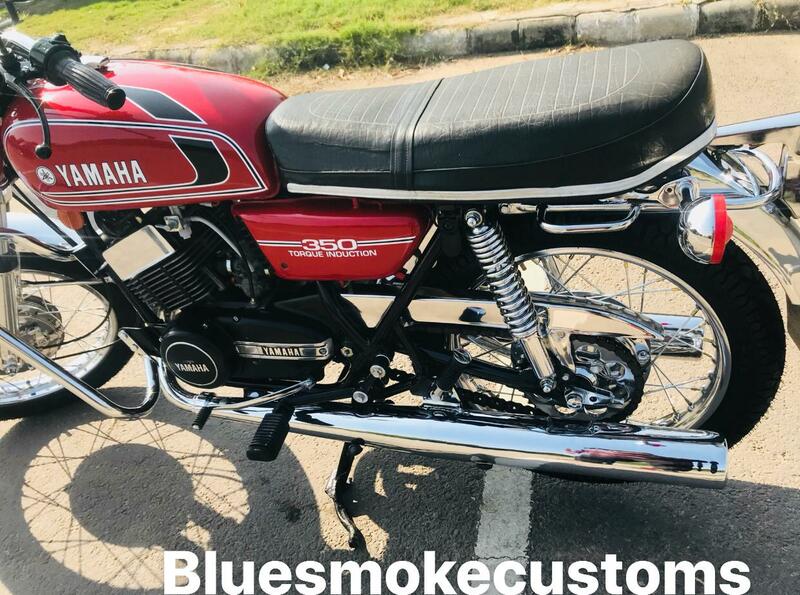 IAB reader Prateek Khanna has shared details of another Yamaha RD350 that he recently restored. 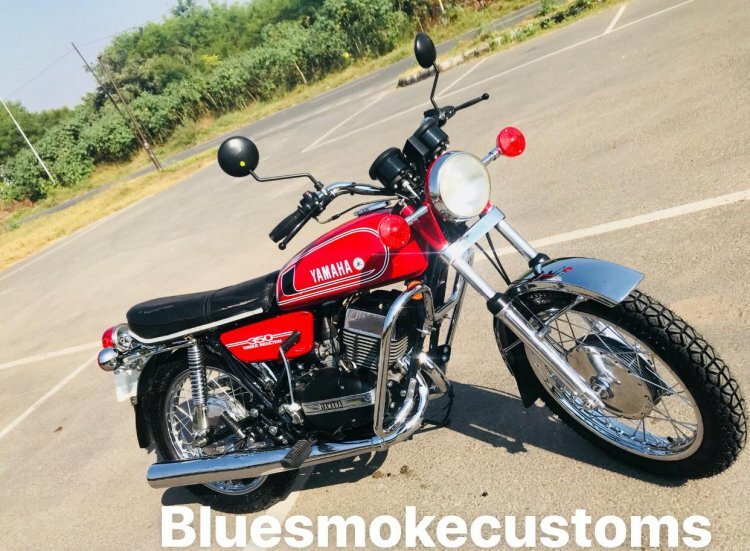 This one has remained true to the original motorcycle than the previous restoration jobs that were shared with us by Prateek. His previous restoration included upgraded braking setup in the form of a disc at the front. This one uses drum brakes on both ends that give it the typical retro look. The Yamaha RD350 has received a complete restoration with several chrome panels enhancing its retro-classic look. This particular bike is a 1986 Low Torque variant of the RD350. The restoration process took 45 days and is running on company sealed standard barrels. The motorcycle has all the original parts including the switches, coils charger, meters, seat indicators and tail lamp. The chrome treatment to the front and the rear fender, headlight mask, engine, exhaust pipes, chain cover, crash guard, wire-spoke wheels and the blinker housing enhance its retro looks even further. The re-done body paint is complemented by hand-painted graphics on the fuel tank. The chrome fuel cap also enhances the old-school look of the bike. The ‘350 Torque Induction’ lettering occupies the side panel. Enthusiasts and regular readers would know that the RD350 was sold in two options – 'High Torque (HT)' and 'Low Torque (LT)'. The HT version, which initially produced 39 bhp, was re-tuned to deliver 30.5 bhp. The LT variant, on the other hand, makes 27 bhp. The motorcycle is a Low-Torque or the LT version of the Yamaha RD350 and it makes 27 bhp of maximum power. The High Torque or the HT version is tuned for 30.5 bhp. In other updates, India Yamaha Motor’s newly appointed Chairman, Motofumi Shitara, said that the company’s focus in motorcycles will shift to the deluxe and premium segments (150cc and above). The 100-110cc bikes will be exported to markets like Africa and Latin America. Speaking about its popular RX range, Shitara said that he would like to capture its (RX100’s) character in the future portfolio.